A joint venture of three companies working on the Crossrail tunnels has been fined a total of more than £1m following safety failures on the project including the death of a worker. 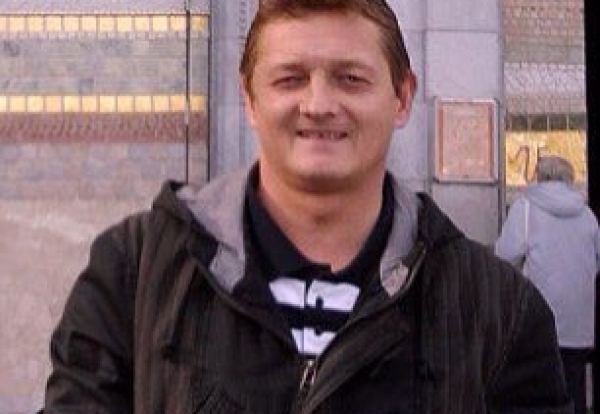 Southwark Crown Court heard Renè Tkáčik died after being crushed by falling wet concrete on 7 March 2014. Two other men were injured following separate incidents within six days of one another, on 16 and 22 January 2015. All three incidents took place in the tunnels around the Fisher Street area. The three workers were operating under Bam Ferrovial Kier (BFK), an unincorporated joint venture made up of three companies; BAM Nuttall Limited, Ferrovial Agroman (UK) Limited and Kier Infrastructure and Overseas Ltd.
Renè Tkáčik, 43 from Slovakia, was working on a team enlarging the tunnel by removing rings of the existing pilot tunnel and spraying walls with liquid concrete. During this operation, a section of the roof collapsed, fatally crushing him. On 16 January 2015 Terence ‘Ian’ Hughes was collecting some equipment from inside one of the tunnels when he was struck by a reversing excavator. He suffered severe fractures to his right leg and crush injuries to his left knee and shin. Six days later worker Alex Vizitiu, who was part of a team tasked with spraying liquid concrete lining, was assisting with the cleaning of the pipes that supply the concrete. Due to a lack of communication one of the lines was disconnected and he was hit by pressurised water and concrete debris. He suffered head and hip injuries as well as a broken finger and was hospitalised for six days. An HSE investigation found a failure to provide a safe system of work relating to the operations Renè Tkáčik and Alex Vizitiu were working on. It was also found there was a failure to properly maintain the excavator which reversed into Ian Hughes. On all three occasions, the investigation found a failure to properly enforce exclusion zones that would have helped protect workers from foreseeable harm. Bam Ferrovial Keir pleaded guilty to three offences. In relation to the death of Renè Tkáčik it has today been fined £300,000. BFK also pleaded guilty to two separate breaches of CDM regulations relating to the two incidents in January 2015. The joint venture has been fined a £600,000 for the incident involving Ian Hughes on 16 January, and £165,000 for the incident relating to Alex Vizitiu on 22 January. The total fine is therefore £1,065,000. The defendant was also ordered to pay costs of £42,337.28. HSE Head of Operations Annette Hall said: “The omission to implement exclusion zones in a high hazard environment was a consistent failure in this case. “Had simple measures such as these been taken, all three incidents could have been prevented, and Renè Tkáčik may not have died. “We believe every person should be healthy and safe at work. Here, all three workers were taking part in one of the most important and challenging infrastructure projects of the decade. Unite national officer for construction Jerry Swain, said: “This is firstly a human tragedy where a husband went to work and didn’t return home again. The tragedy is even greater as we know his death was wholly avoidable. “There are clear and straightforward ways of creating a safe way of working when applying concrete to the roof of a tunnel which would have ensured that no one could have inadvertently entered the danger area. “The industry needs to learn the lessons from this tragedy, especially on major infrastructure projects.